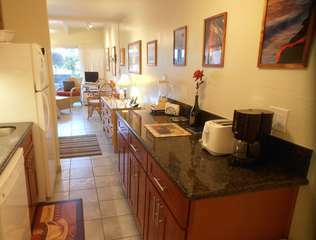 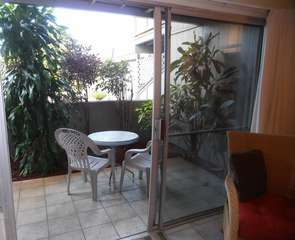 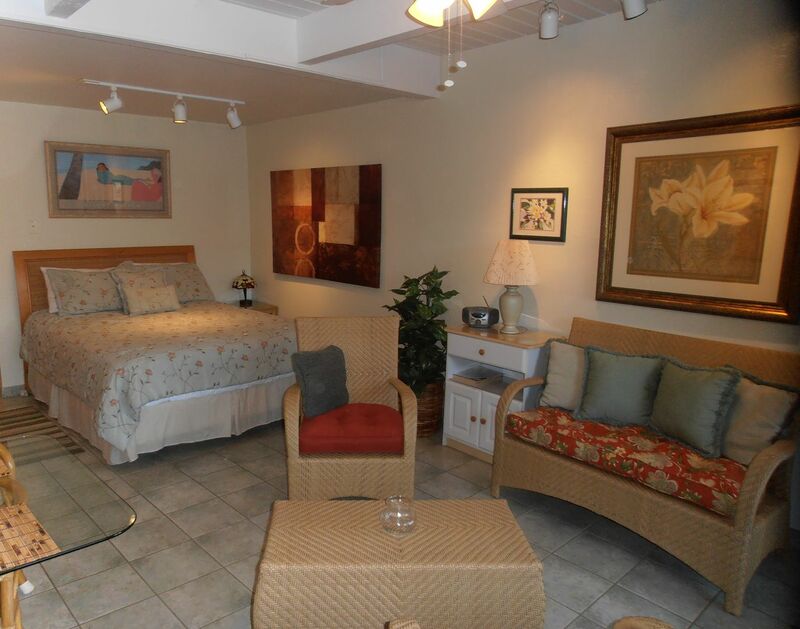 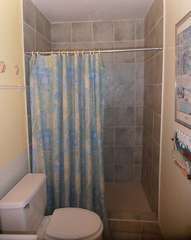 This great studio is a great place to stay in Maui and has everything you could need for 2 people. 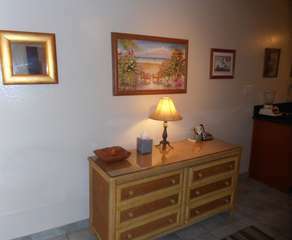 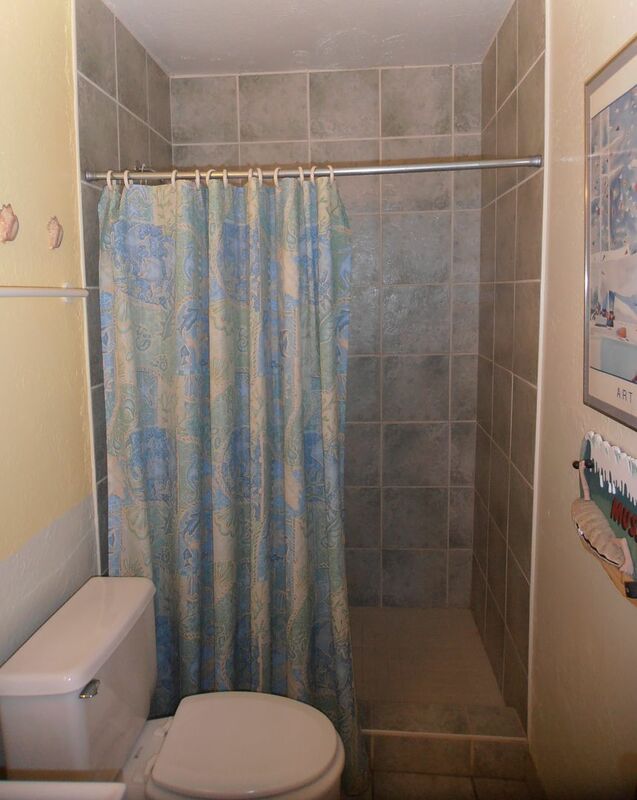 Featuring a remodeled kitchen, nice furniture and a comfortable bed this condo has it all. 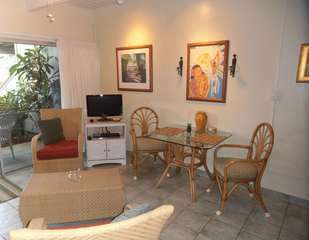 It is also located directly across the street from the beach and close to dining and shopping. Kihei Bay Surf has great amenities including a pool, hot tub, and tennis courts. Living Room: This great room has it all! Brightly lit and equipped with everything you need. 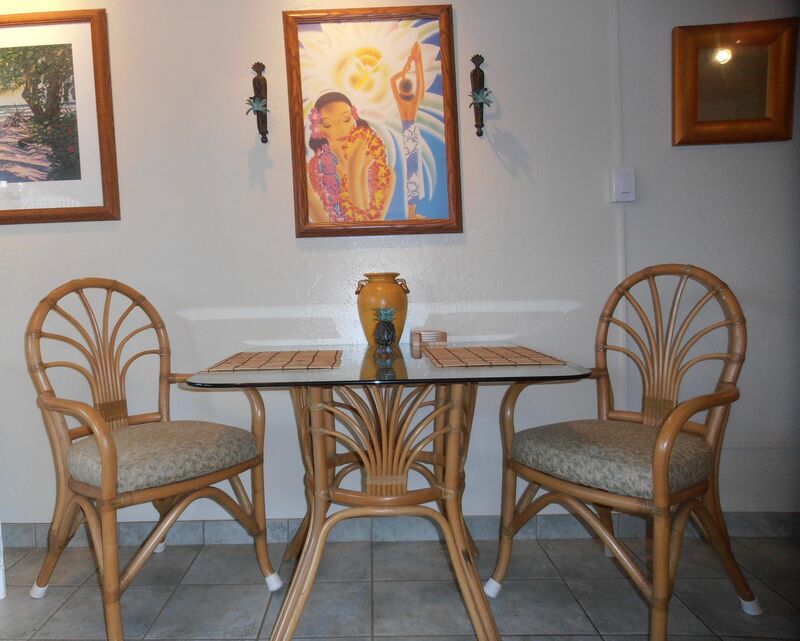 You will love the modern decor, flat screen TV, comfortable furniture and A/C to relax in. 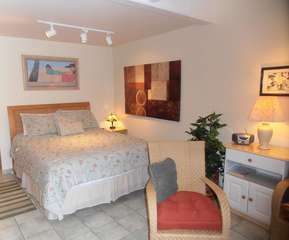 This room also has a comfortable Queen bed to get some rest in after a day of Maui fun! Kitchen: Make some Mai Tai's, grab a quick breakfast or make a full meal in this fully equipped kitchen. 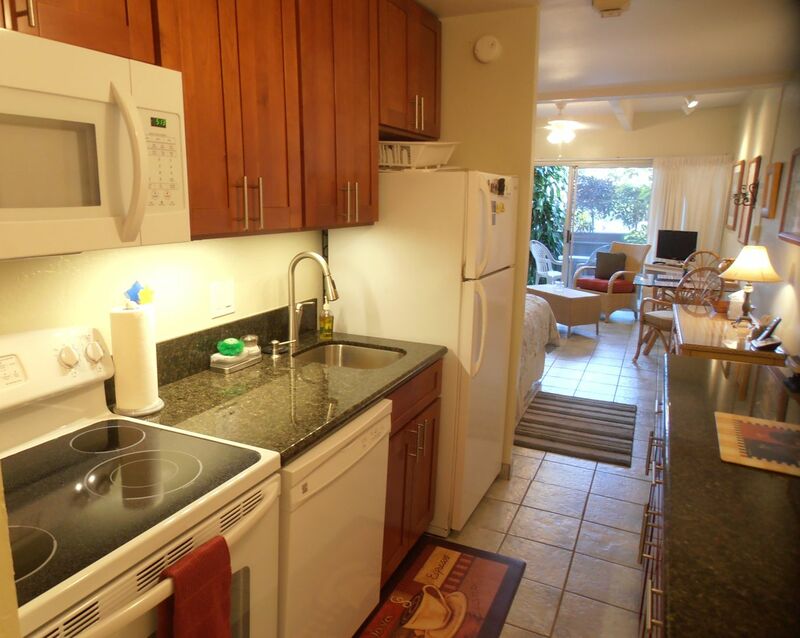 You will love the remodeled look and functionality of this kitchen. 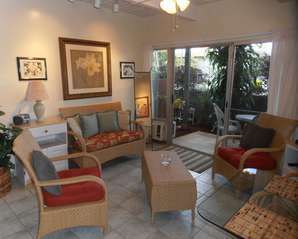 Lanai: This lanai offers beautiful views of the tropics and is ground floor. 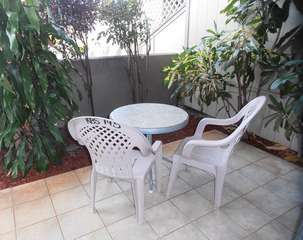 Kick back and relax out here!